"Let Us Show You Howe!" Headquartered in Atlanta, Georgia, BlueLinx, is a leading distributor of building products in North America. Employing over 1,600 people, BlueLinx offers thousands of products from suppliers all over the world to service over 10,000 customers nationwide, including dealers, industrial manufacturers, manufactured housing producers and home improvement retailers. 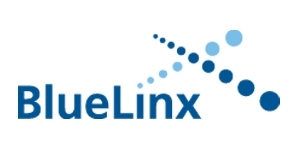 The Company operates its distribution business through a vast network of distribution centers located throughout the U.S.
Want more information on Bluelinx? We can help. Fill out the form below and we'll get in touch. The fields marked with, *, are required. I am interested in learning more about your Bluelinx products and services. © 2019 Howe Lumber. All rights reserved.